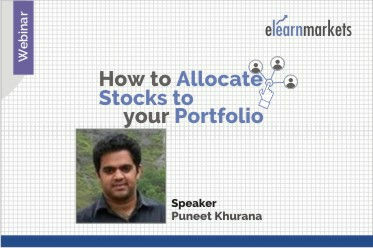 Puneet Khurana, CFA is a renowned value investor and also an educator. He is an MBA from MDI Gurgaon and have worked in various India focused hedge funds where he headed Equity Research for many years. Currently, he is Managing Partner at Stoic Advisors LLP and also writes a popular website "www.stoicinvesting.com" which is intended to teach various investments philosophies to people. He is a member of Mensa India and a guest faculty at IIT Delhi. The webinar is intended for all investors/speculators at different stages of their investing career. In this webinar, renowned value investor, Puneet Khurana, will explain a proprietary portfolio management framework. The framework is hailed by many investors and the terms used in the presentation are now being used in the industry as common jargon.